Mark your calendars and don't miss the largest Solar Conference for Installers & Dealers in the Northeast! This years event will be held at the Devens Common Center in Devens, MA. 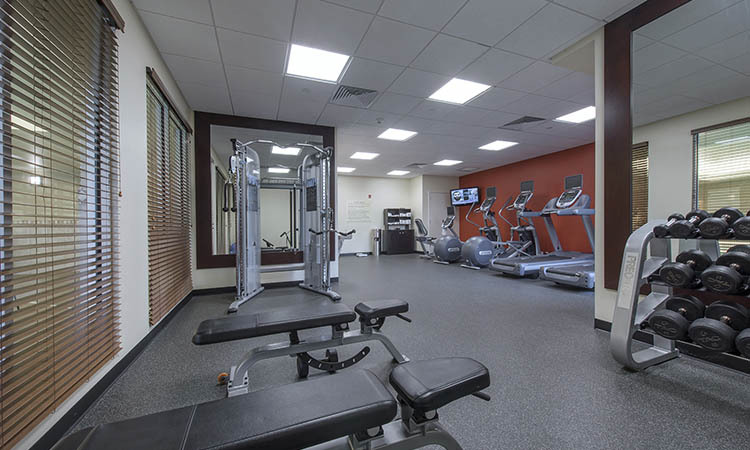 The Devens Common Center is a convenient 45 minute drive from Boston and is located just 15 minutes from our Boxborough, MA headquarters and warehouse. Manchester Airport, New Hampshire and TF Green Airport, Rhode Island are just an hour drive from Devens. 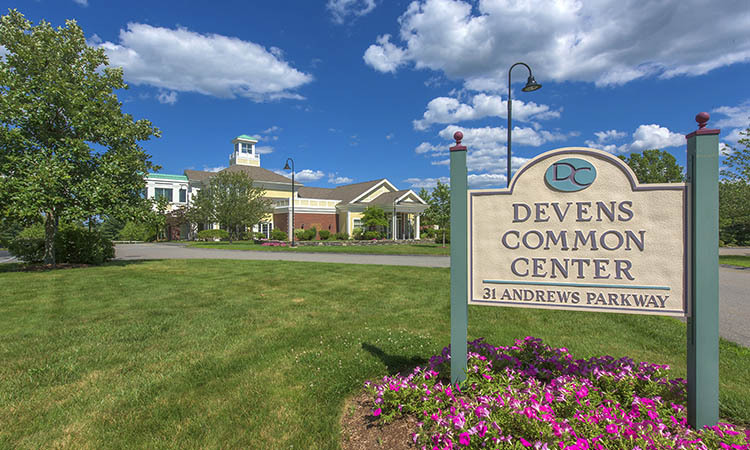 For more information on the Devens Common Center, please click here. With more Vendors and Exhibitors, more training sessions and more fun - we look forward to seeing you at the 2019 altE Installer Conference! Click on the links in the blue bar below for more information about the Conference. altE is pleased to invite you to our 8th annual Solar Conference to be held February 11, 12 and 13, 2019. This event will provide you the ability to see new products, receive hands-on training and meet the solar and renewable energy industry's leading vendors and manufacturers. Tuesday and Wednesday, February 12 -13, 2019. The day before the Main Conference event - Monday, February 11, 2019. Just $249 for Sean's NEC class. The day before the Main Conference event - Monday, February 11, 2019. Just $179 for the Intro Solar Class. 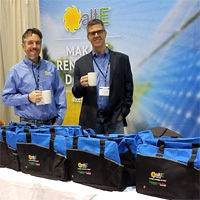 The 2019 altE Solar Conference provides Installers an opportunity to see new products and talk directly with some of the industry's leading Vendors and Manufacturers in the Exhibit / Trade Show area. In addition, participants will receive valuable training in their breakout sessions and dedicated training sessions featuring product demonstrations and classroom training. 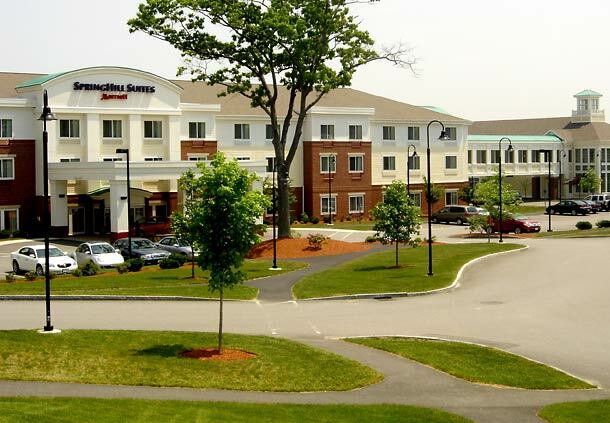 Conference Location: Devens Common Center, Devens, MA. For more information, please click on the LOCATION tab in the blue bar above. See the latest technology and products to help your business and stay ahead of your competitors in our Exhibit and Trade Show area. We have the industry leading Vendors and Manufacturers displaying the most current and cutting edge products available in the market today in our Exhibition area. Not only will you get the chance to see and learn about the latest products first hand, you'll have plenty of time to interact with the Vendors and Manufacturers directly during the exhibit hours. 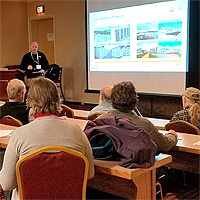 With over 30 different breakout sessions, you'll find a wide variety of opportunities to see the latest products, learn new techniques and qualify for NABCEP Continuing Education credits. Attendees may choose the session they wish to attend with no pre-registration. With this many options you can easily select the sessions that best fit your areas of interest. We've specifically designed our agenda to provide ample opportunity to meet with Vendors and Manufacturers to learn about the latest products and get hands-on information to help grow your business. 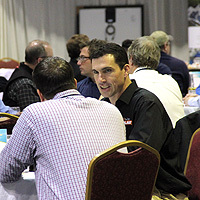 In addition, you'll have the opportunity to network with Installers across the country to share information and ideas regarding business best practices, marketing trends and other ways to increase and expand your profits! Back by popular demand, we will have a Beginners Track for Installers new to Solar, presented by altE - Intro to Solar Grid Tie and Battery Backup. Just getting your business started up? Have new employees who need to be trained in the basics of solar power? This is the workshop for you. Learn valuable principles about the components in grid tie solar systems, off-grid solar, and grid tied solar with battery backup. We learn how to calculate the size of the system equipment needed for all 3 types of solar systems. We cover some NEC requirements to ensure a code compliant installation. There will also be complete pre-wired systems to view, mounting options for roofs, and much more! Note: this class is not IREC accredited and will not earn NABCEP credits. We are pleased to also bring back the extra day of 2017/2020 National Electric Code update training! This training will be a 6-hour training day dedicated to code updates - and will qualify for 6 hours of NABCEP CE credits. Taught again by Sean White! Sean White is a highly experienced PV educator with thousands of hours teaching entry level, intermediate and advanced PV classes at solar training centers primarily throughout North America. Many hundreds of his students are employed at both startup and leading solar companies. Sean also designs commercial and residential PV systems in the San Francisco Bay Area. He has many years of practical work experience at Fidelity Roof and Local Power in California. Some of the places Sean has experience teaching PV include California, New Jersey, Ontario Canada, Pennsylvania, North Carolina, Arizona, Michigan, Florida, Costa Rica & China. 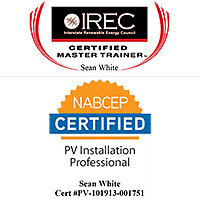 Sean is a NABCEP certified in PV Installer, holds the NABCEP Technical Sales Certification, a licensed C46 Solar Contractor in California and a California Licensed Electrician. Sean’s approach appeals to both beginners and solar experts looking to expand their knowledge. Student evaluations demonstrate that Sean’s knowledge, passion, and pedagogy are outstanding. Keeping students excited, awake and informed is the trilogy of Sean’s learning theory. Sean is excited about an industry that doubles every year, while improving the quality of life for all and will make sure to share that excitement. He finds great satisfaction in sharing his knowledge of PV with his students. Sean White has worked on and is actively consulting on many PV projects throughout the world. 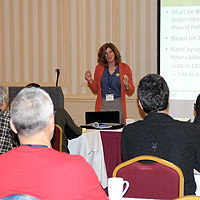 The 2019 altE Solar Conference will be held February 11, 12 and 13, 2019 at the Devens Common Center in Devens, MA. We have secured special pricing for selected rooms for the conference at two local hotels at the Conference Center. Conference attendees are responsible for making their own lodging reservations directly with the hotel. 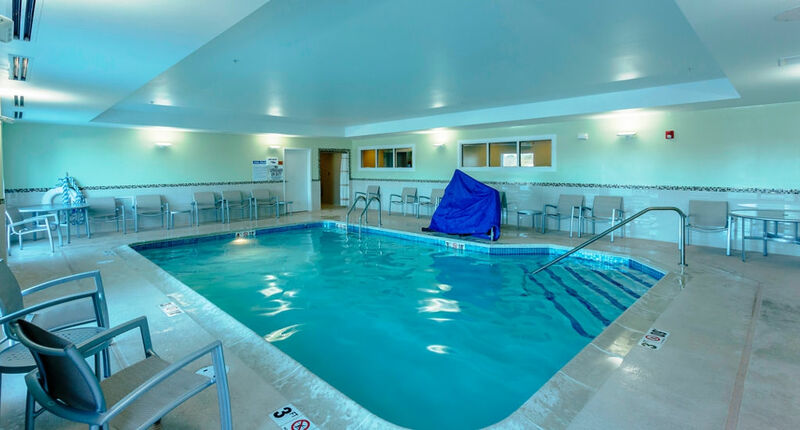 For Room Reservations please contact either the Hilton Garden Inn at 1-978-772-0600 or 1-888-370-0984, or SpringHill Suites by Marriott at 1-978-772-3030 or 1-844-845-2263 located conveniently at the Devens Common Center. **Please mention "Alternative Energy" for discount rates. For the Hilton Link: Put 'Devens, MA' in top search bar, and 'ALTE' in Promotion Code, and Unselect 'All Hotels' at the bottom. 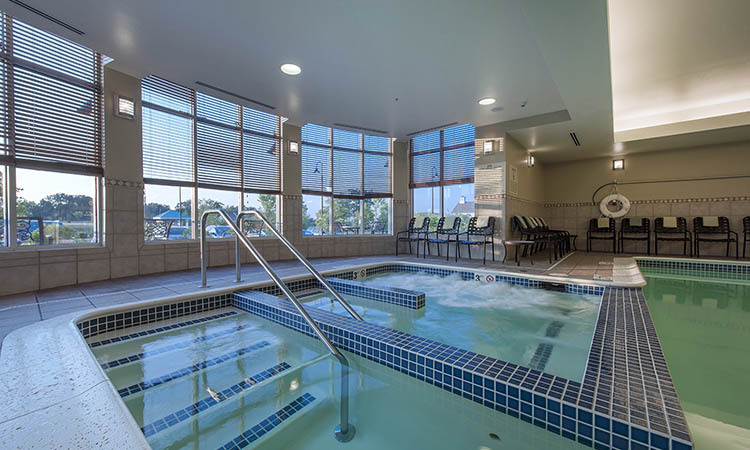 We have secured special pricing for selected rooms for the conference at the Hilton Garden Inn. 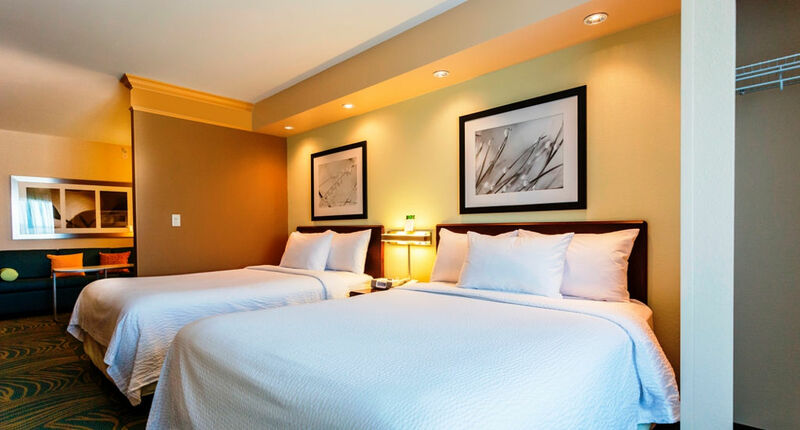 Conference attendees are responsible for making their own lodging reservations directly with the Hilton Garden Inn at 1 (978) 772-0600 or 1-888-370-0984. **Please mention "Alternative Energy" for discount rates. 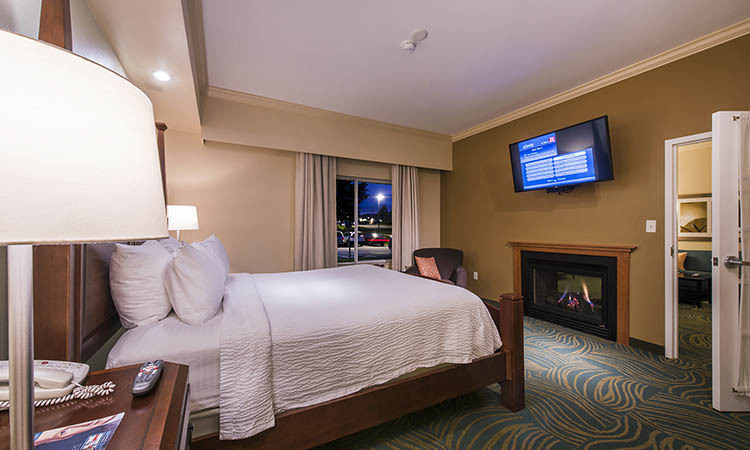 We have secured special pricing for selected rooms for the conference at the SpringHill Suites by Marriott. 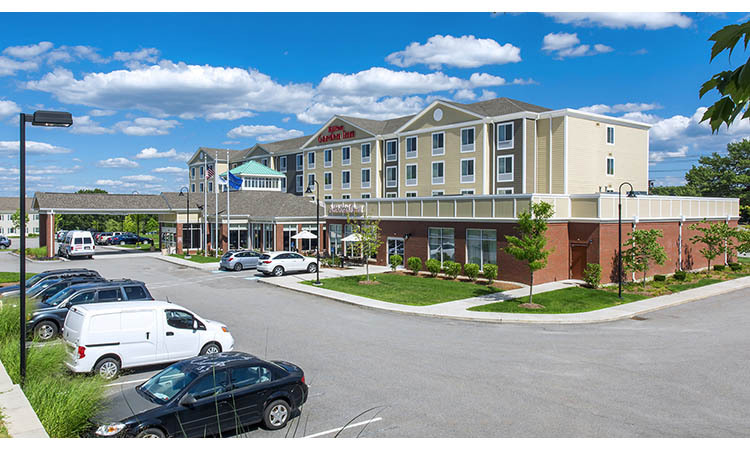 Conference attendees are responsible for making their own lodging reservations directly with the SpringHill Suites by Marriott at 1 (978) 772-3030 or 1-844-845-2263. **Please mention "Alternative Energy" for discount rates. 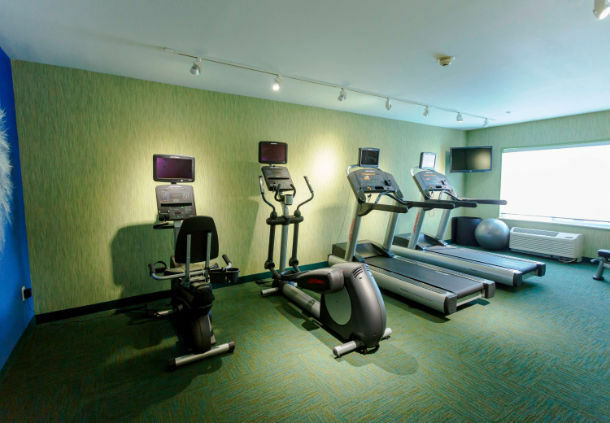 The Devens Common Center is the perfect location to mix a great learning and business environment with a host of fun and exciting activities for an unbelievable experience! Devens, MA is located 45 minutes North West of Boston, MA. To get directions, please click here. Seminars marked with an * count as one hour of NABCEP Continuing Education Credits. Advanced Technology Energy Storage. Which is right for my application? Innovative Renewable Solutions for Life! This workshop will be jam-packed with 2017/2020 NEC insight and interpretation. Sean teaches PV courses around the world and has authored 4 books, the most recent being Photovoltaic Systems and the National Electric Code, co-authored with Bill Brooks. Sean will fill you up with as much information as possible in one day, while entertaining you at the same time. He will compare and contrast the 2017 NEC to the 2020 NEC, with special emphasis on the rapid shutdown and interconnection requirements of the Code. There will also be limited insight into the 2020 NEC, which has had the preliminary proposals already presented. 6 hours NABCEP Training. Just getting your business started up? Have new employees who need to be trained in the basics of solar power? This is the workshop for you. Learn valuable principles about the components in grid tie solar systems, off-grid solar, and grid tied solar with battery backup. We learn how to calculate the size of the system equipment needed for all 3 types of solar systems. We cover some NEC requirements to ensure a code compliant installation. There will also be complete pre-wired systems to view, mounting options for roofs, and much more! Designed for solar installation and technical professionals, this presentation is a deep-dive on Canadian Solar’s modules and T4 connectors. It includes information on packaging, logistics, proper handling techniques, and warranty process. Learn about Energy Storage Partners - a new program that provides Installers access to all necessary charging settings in advance—eliminating much of the calculating and guesswork that often goes with bringing lithium batteries into the business mix. Morningstar is also presenting its advanced charging solution: the breakthrough MultiWave High-Frequency Inverter, which delivers unprecedented charging capabilities and power stability while cutting installation time and effort. Turn top-level inverter and battery technology into bottom-line results. 9:00 - 10:00 - Crown Battery: Conventional or Advanced Technology Energy Storage: Which is right for my application? Customers have a number of energy storage options to consider – from traditional Lead battery storage products – to advanced chemistry batteries. In this presentation, Crown Battery helps installers and system designers understand why Crown’s lead batteries deliver the best safety, reliability and cost justification benefits versus alternative storage technologies such as Lithium-ion or Iron batteries. In this 2-part in-depth session, we will go over the the technical benefits of the new SkyBox Hybrid Inverter - Outback's most flexible system yet. SkyBox makes smart solar simple with an advanced technology single-box design - can be used with or without energy storage. Go over EASE of installation, and setup for your customers. With the data input, SkyBox intelligently determines the most appropriate/lowest cost energy source for the end-user. SimpliPhi is still your go-to solution for the safest and most reliable 24V and 48V lithium ion batteries, but the company's latest additions to its product line make possible an even wider range of storage applications with the same high performance you know and trust. Learn more about PHI High Voltage for C&I applications, the ExprESS battery-powered AC generator, integration with OutBack SkyBox, solutions for cold weather, advanced BMS/communications and more. No two Ground Mount systems are the same. In this session, IronRidge Technical Marketing Engineer Brady Schimpf covers the wide array of site conditions that installer may encounter, and reviews best practices around managing them. Topics include: dealing with ground water, building on sloped land and planning for ground freeze. In addition, he’ll share a field-tested and proven method of saving time on large-scale installations. This presentation includes a demo of how to use Ground-based Design Assistant to plan your project, download permitting documents, and generate a bill of materials. Trojan Battery discusses a variety of applications which use renewable energy to provide power and charge battery banks. Learn how to decide which battery type is best for an application and how to size a battery bank. In addition, gain an understanding of the IEC test method that is used to evaluate batteries for renewable energy applications. Discussions will include some of the features found in Trojan’s newest lines of Solar batteries to improve overall capacity and durations of charge. Technical training designed to provide solar installers with best practices and proper installation techniques for Bonding, Grounding, and Wire Management products offered by Burndy/Wiley. Application training based on various installation types and project sizes. Will also cover NEC compliance & NRTL (UL) Listing requirements. Applications of Schneider Electric’s broad range of Conext solar products will be discussed, including the new Conext XW Pro, the ideal solution for solar and storage requirements that comply with evolving grid codes. A thorough review of the unique features of the new Conext XW Pro and SW inverter platforms will demonstrate why Schneider is an excellent choice for on and off grid energy storage applications. Learn the factors affecting the installation and use of these new bifacial solar panels. This training session introduces Bifacial Module technology by highlighting differences with conventional monofacial solar modules. It delves into bifacial module applications, mechanical/electrical design considerations and its effect on bifacial gain. In this session with S-5!, you'll learn why direct attach on exposed fastened roofs is more effective than rails. We'll go over the pros of the new PV Kit 2.0, as well as rail mounts, and the common objections when using them on metal roofs. Installation techniques and tips, along with ease of layout, will also be discussed in this training session. Midnite will discuss the impact of 690.12 and how it affects you. They will also talk about the product line up they offer make complying with rapid shut down requirements easy and affordable. Energy Storage Systems are rapidly evolving in the world of Off-Grid and Grid-Tied applications. Learn the fundamentals about battery design and construction, the basics of sizing, setup and charging - and how Crown Battery’s Renewable Power batteries deliver reliability that exceeds customer expectations. 3:15 - 4:15 - MT Solar - Ground Mounts - NEW! From the makers of easy-to-use/easy-to-install tilt pole mount systems out of Montana - come Ground Mounts - of course! Come join the MT Solar team and learn about their 60 Cell and 72 Cell Ground Mount Systems. These systems hold up to 20 modules and can tilt up to 90 degrees. As well, they will go over their tilt pole-mount systems. A general introduction from Victron regarding the basic operation of the inverter/charger line and how it can be implemented into a PV system. The new line of SmartSolar MPPT Charge Controllers will be covered along with programming and monitoring capabilities via bluetooth and the internet. Come and learn about altE's newest battery - our own KiloVault® Lithium Battery! Available in 1.8kWh and 3.6kWh capacities, these long-lasting batteries work in 12/24, or 48V configurations. Lower cost per watt-hour/cycle over full lifespan, than traditional lead batteries. In this session , Blue Sky will go over advanced training for integrating multiple controllers, data monitoring over the Internet via UCM, and charge profiles for lithium batteries. Trojan Battery discusses the main differences between battery types and their unique manufacturing processes. Learn about battery selection, charging guidelines, system sizing and proper maintenance. Gain an understanding of battery capacity ratings, cycle life expectations and how field conditions affect battery life and performance. In addition, learn about Trillium™, Trojan’s Intelligent Lithium which delivers superior performance with more than 5000 cycles, has sophisticated electronics, and is fully self-protected. Expected battery life is a critical element of your customer’s decision-driver for Energy Storage. In this presentation, Crown Battery will explain how to avoid premature system failures at the design stage and installation – and how Crown Battery’s SolidCast™ and PosiWrap™ design features ensure easy cyclic performance and optimal R.O.I. Attendees at this session will earn credit toward SimpliPhi I.Q. Certified Installer status. Topics will include form factor, battery chemistry, levelized cost of energy and warrantied cycle life considerations when designing your energy storage system. As well, we will go over battery installation, wiring techniques, integration with leading inverter manufacturers and MicroGrid applications for the entire SimpliPhi product line of commercial, residential and mobile energy storage solutions. Schneider Electric will review the necessary steps to completing and energizing your Conext PV system. Exploration of the Conext Gateway and Conext Insight 2 for simplified system configuration and powerful remote monitoring & control. This workshop will offer an in-depth look at Midnite Solar's selection of MPPT and PWM charge controllers for PV, wind and hydro applications. Topics to be discussed include proper sizing and installation methods used for various system configurations, conductor and over current protection considerations, arc fault and ground fault protection. SMA has long been a brand synonymous with quality, reliability, and value. Learn about the latest generation of residential PV inverters, the Sunny Boy-41 with Sunspec transmitter. We will begin with an overview of the Sunny Boy features, power classes, and serviceability. You will also learn about rapid shutdown options and our TS4 and the Power+ Solutions platform, which are a family of module level electronics for NEC 2017 code compliant rapid shutdown. You will exit the session well informed on design, installation, commissioning, and monitoring/communications. As the demand for PV+Storage increases, OutBack is responding by engineering its extensive line of balance-of-system components into pre-assembled systems to give installers the best of both worlds with the flexibility of Flooded Lead Acid, AGM and Lithium storage solutions. Convenience, value and flexibility, System Edge packages take the guesswork out of selecting the right combination of energy storage and power electronics. 2:00 - 3:00 - Xantrex Solar – Innovative Renewable Solutions for Life! Learn about Xantrex's new solar solutions designed to maximize battery life and prolong power supply. Xantrex now offers a full range of solar kits. This new solution nicely complements Xantrex’s existing portfolio to offer a complete range of power conversion products for both off-grid and mobile applications. Trust the power experts with an enviable record of many ‘industry firsts’ and a comprehensive suite of power solutions. The Plug-&-Play Solar Energy Storage System. Schneider Electric has consistently provided superior hybrid solar inverters and accessories. The introduction and thorough review of completely pre-wired, tested and ready to install systems will be discussed. This provides the installer with a unique time saving and cost-effective solution for various types of energy storage applications. This breakout session will be a lively and informative wind power presentation with a vast collection of visual aids and installation photos of Hybrid Systems, that pair solar and the AIR product family of off-grid wind turbines. Topics include; lithium battery integration, operation, maintenance and design of the AIR Wind Turbine, siting a turbine with tower height considerations, how to determine your wind resource, installation recommendations and the advantages of the Hybrid concept. For commercial systems, most utilities require a demand and/or power factor correction addition to the customer's bill. A solar installer can affect the customer's bill by addressing these charges. In this session, the instructor will address how these factors can be utilized to enhance the benefit of the install.